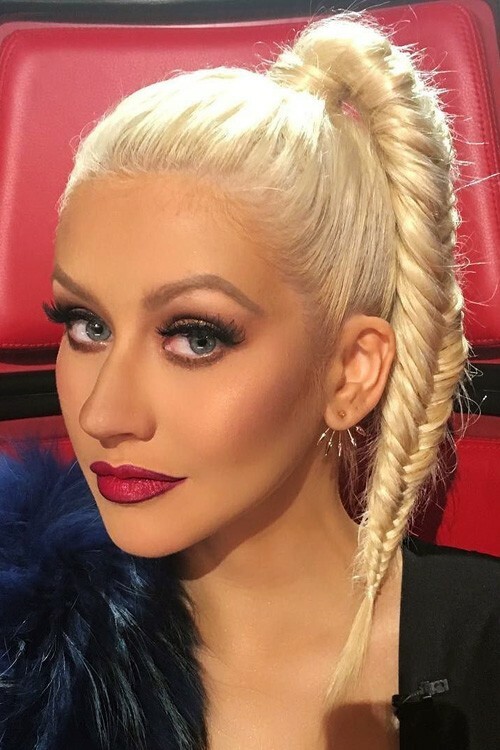 Christina Aguilera wore a glamorous and fabulously chic fishtail braid for the blind auditions at The Voice! Christina Aguilera at the 40th Anniversary American Music Awards nominations press conference at JW Marriott Los Angeles at L.A. LIVE on October 9, 2012 in Los Angeles, California. Christina Aguilera at a party to introduce the Trump Tower Dubai at The Tar Estate in Bel Air, CA on August 23, 2008. Christina Aguilera at “The Voice” Season 3 Red Carpet at House of Blues in West Hollywood, CA on November 8, 2012. 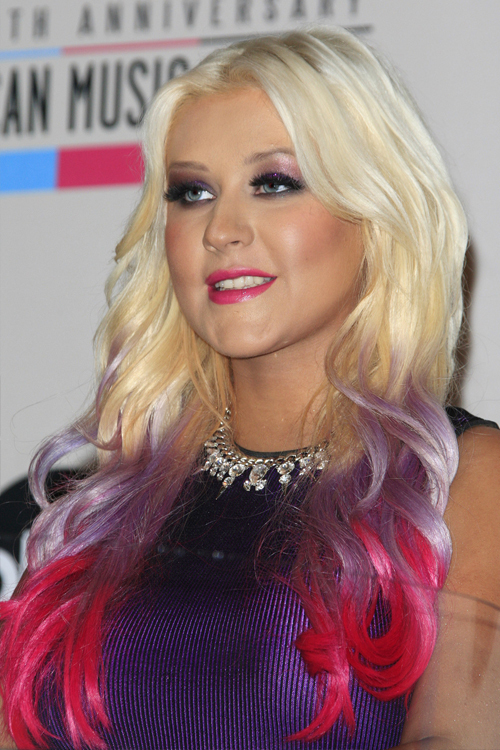 Christina Aguilera at ‘Rock The Vote’ at Esquire House in Hollywood, CA on September 25, 2008. Christina Aguilera arrives at the 2012 ALMA Awards at Pasadena Civic Auditorium on September 16, 2012 in Pasadena, CA. Christina Aguilera at the 40th American Music Awards Arrivals at Nokia Theatre in Los Angeles, CA on November 18, 2012.